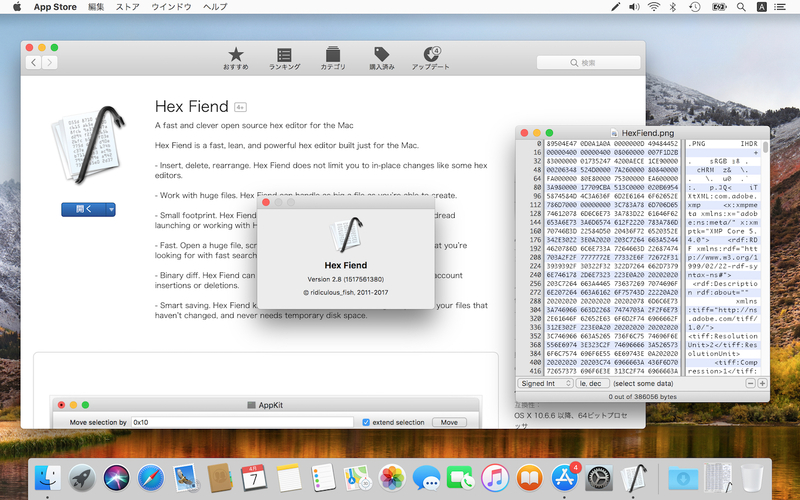 オープンソースのMac用バイナリエディタ「Hex Fiend」がMac App Storeに登場。 | AAPL Ch. annnnd it was just approved. Hex Fiend is a fast, lean, and powerful hex editor built just for the Mac.